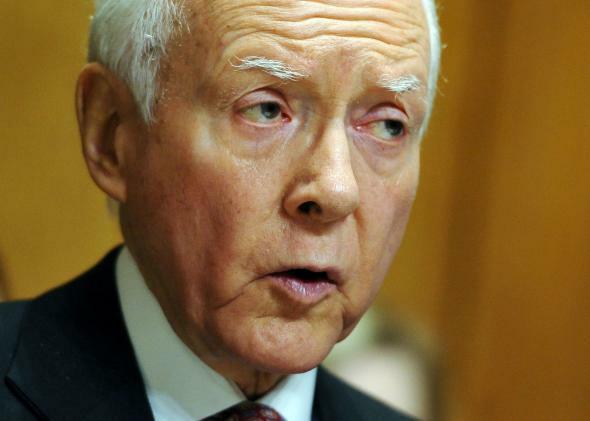 Senate Finance Committee ranking member Orrin Hatch (R-Utah) speaks during a hearing on health insurance exchanges. Do note here, however, that while there is hypocrisy about entitlements in the air, it’s not a question of pure hypocrisy. The CPI issue and the Medicare Advantage issue differ from each other in that while some of the benefits of excessively generous Medicare Advantage payments make their way to senior citizens, a fair amount of the value is captured by insurance companies and doctors and hospital executives. Hatch’s proposal on chained CPI is to simply reduce cash Social Security payments, directly taking money out of the pockets of the elderly.